I am all about exfoliation. Good or bad, I love how soft and bright my skin is afterwards. The problem is I tend to focus more on my face than my body. So when Wish Formula sent me a Bubble Peeling Pad for the body along with some Snail Masks to try out, I almost dropped the box as I ran upstairs to the bathroom to try it out. This envelope contains a small pad with a band to hold onto. It contains a variety of acids and vitamins to remove dead skin cells and brighten your skin. 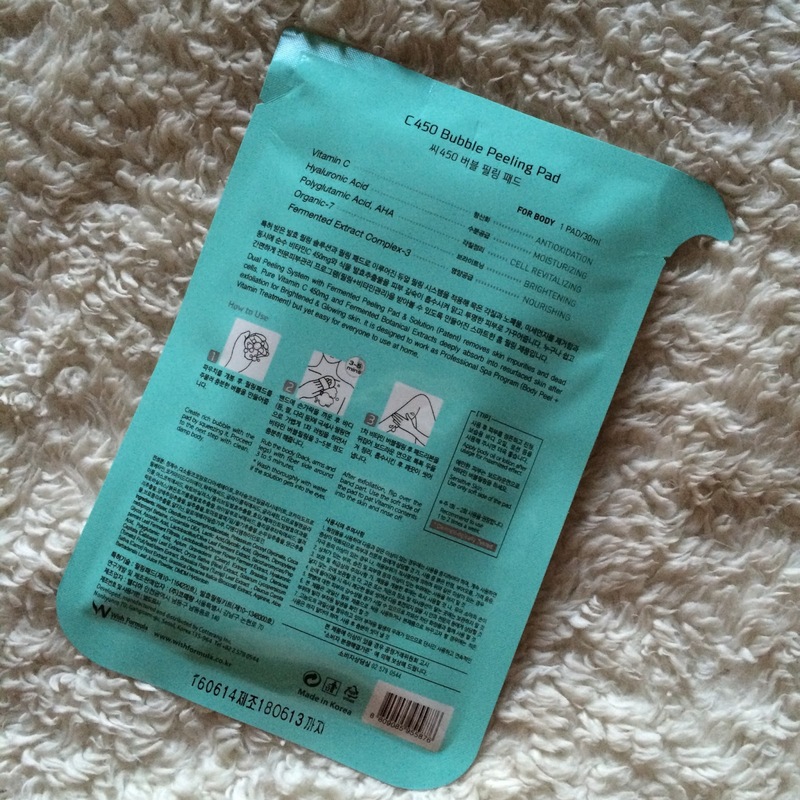 One side of the pad is very soft, it feels smooth against the skin and is not abrasive at all. The other side of the pad is rough, with a plastic mesh material across it. It helps slough off dead dry skin as the solution works it's magic. 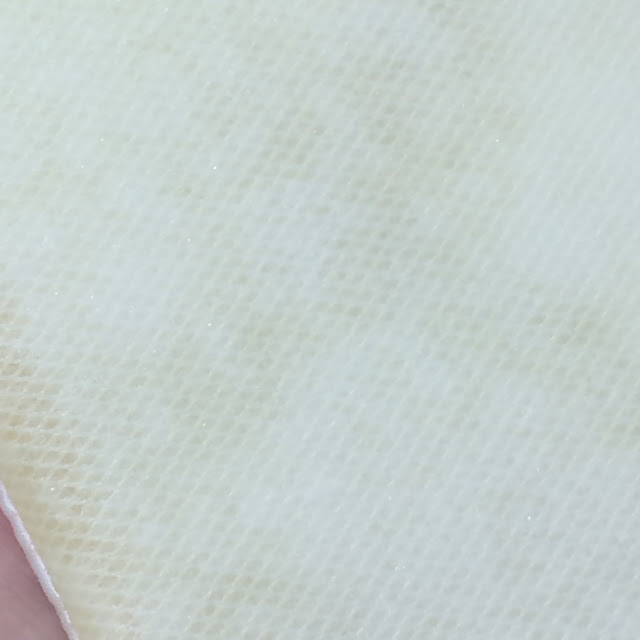 The solution comes already soaked into the pad, when you apply pressure it comes out. 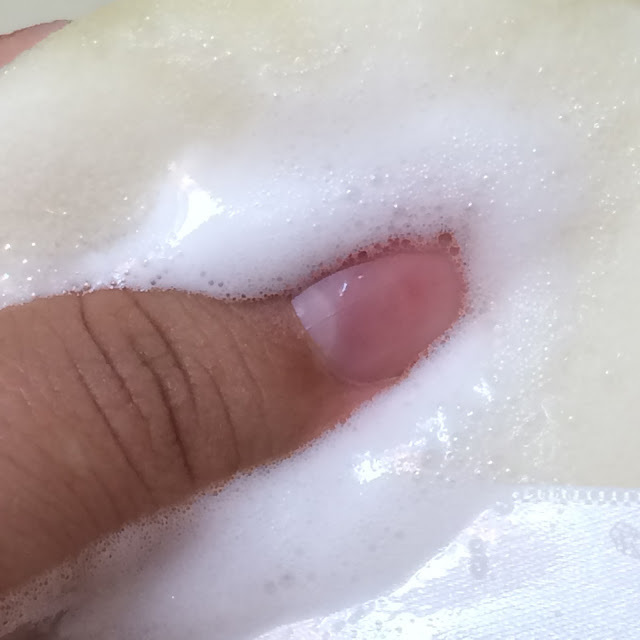 I hopped in the shower (with the water off) and started with the scrubbie side, and rubbed the pad (while pushing out more foam) all over my body. 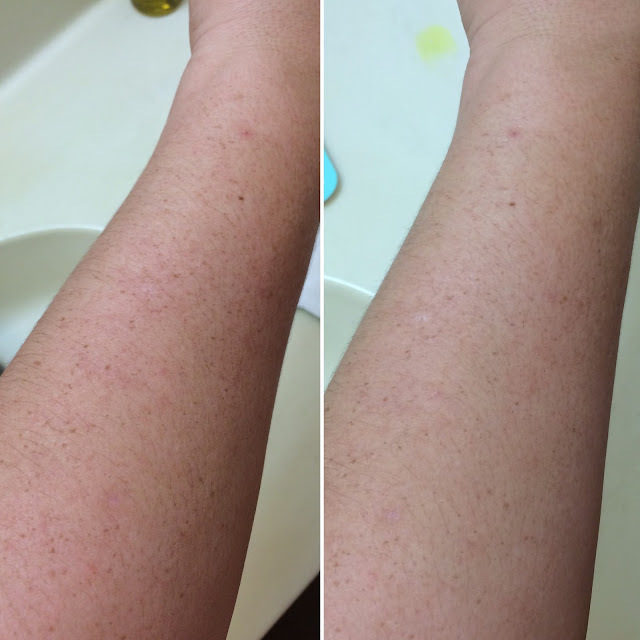 I started with my face, then neck, and focused on the back of my arms and legs where I tend to get keratosis pilaris, and on the tops of my arms where I have the most sun damage. 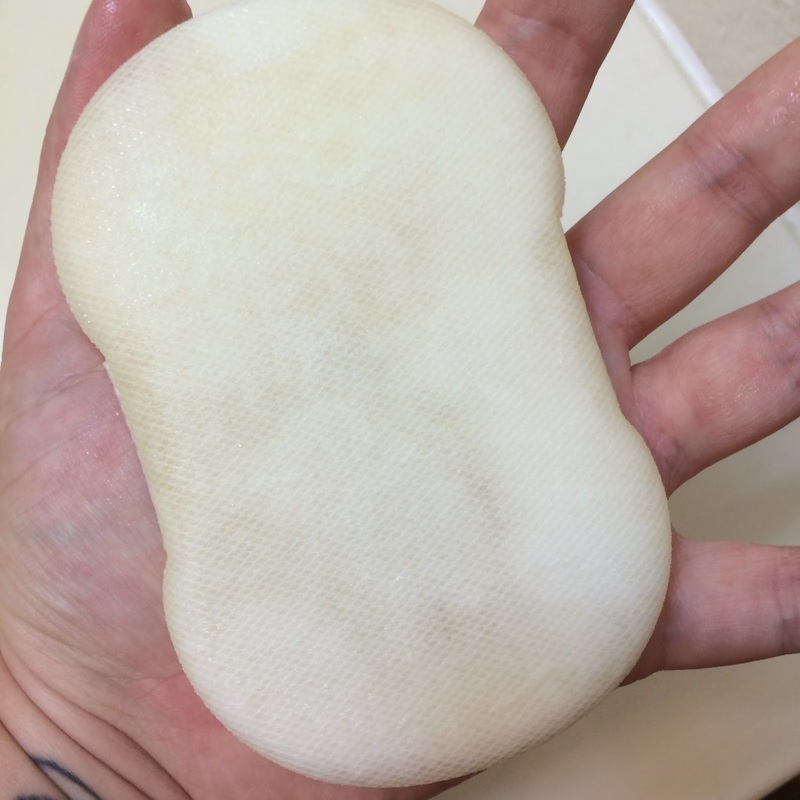 There was surprisingly more than enough foam to get the job done, and after wards I massaged the foam in a bit more with the soft side of the pad. I waited about 5 minutes before I turned on the shower and rinsed. While the results may be temporary, my skin was clearly brighter afterwards. I would be very interested to see if this product would wield any longer lasting effects with continued use, and will definitely be looking at purchasing some of these to use on a weekly basis. Have any of you used this (or the face version) Bubble Peeling Pad? What were your results? 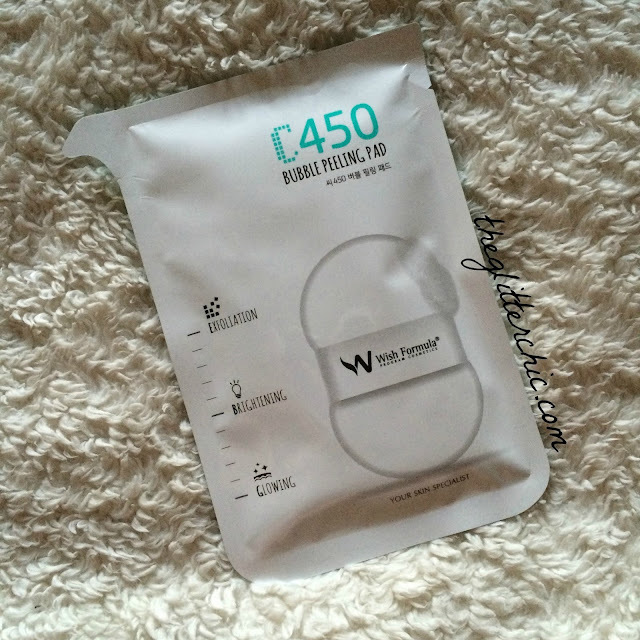 You can find the Wish Formula C450 Bubble Peeling Pad from Memebox or from Wish Formula directly.